That's what you get for hanging out with Tom Cruise. Damn!!! 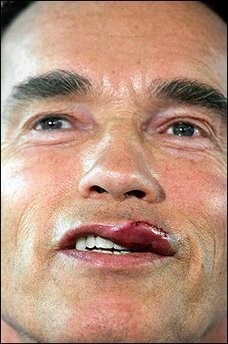 Did Arnold use the same plastic surgeon that did Jessica's lips?? looks like he's got the herp.